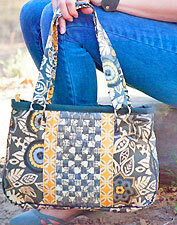 The Sunburst Sling bag pattern is by Jen Fox Studios includes sewing instructions and pattern pieces for creating a sling bag with a single shoulder strap, interior pockets and a top zipper closure. 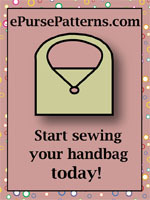 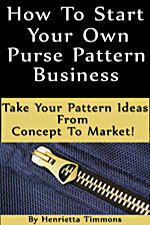 This pattern uses five 1/4 yard cuts of fabric or Fat Quarters to make a unique handbag! 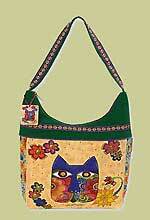 Recommended for the intermediate sewer; includes ideas for customizing the bag to fit your personal style. 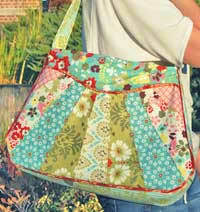 Finished size is 16" W (at the widest part of bag) x 12" H x 4" D with a 10" handle drop.